But sometimes we run into trouble by getting so fixated on landing that elusive love connection that we push somebody away. We get so wrapped up in the excitement that we get intensely involved, but end up burning out the relationship before it really had a chance to get started. When you feel yourself beginning to form a romantic connection with someone you’re very interested in, sometimes the best thing to do is to put the relationship in “drift mode,” that is, take things slow. Let things happen naturally and see where the relationship goes before you try defining it and setting too high of expectations. Just see what it’s like to just like each other for a while and give yourselves some breathing space so that your love together can grow in a natural and comfortable way. How do you put a relationship in “drift mode”? 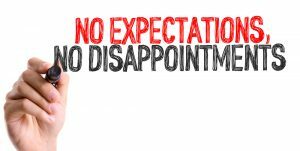 Let go of expectations and needs. Try not to expect that the other person is going to answer every one of your calls or texts. Try not to keep calling or texting if you’re not getting responses to every one of yours. In the beginning two or three months, try not to make plans more than a week or two in advance. Focus on the short term. Try to stay flexible. If the other person cancels or postpones a date, try not to resist. Just reschedule for a different time that will suit you both. 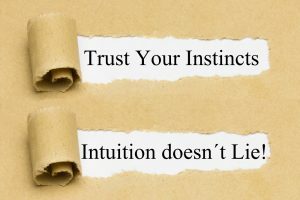 Above all, trust your intuition. If you’re feeling that something’s a bit “off,” look for other signs. Stay alert, and notice and listen. Be willing to back off or walk away. Drifting in relationship gives you the opportunity to survey the big picture. It allows time for you to get to know each other, for both of you to see who you really are. It helps you learn what it’s like to be a couple together, and helps you see if you’ve got what it will take to make a long-term relationship work out. It takes more than an initial attraction! Drifting along for a bit, for at least two or three months, will give your hormones a chance to settle down so the two of you can get a clear view of each other. Then you’ll be able to think about how to define the relationship, if you should set a course for the future, and make long-term plans together.